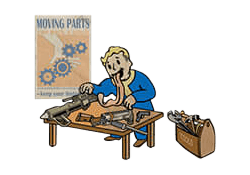 Gun Nut is a Perk in Fallout 4. It is associated with the Intelligence Stat. In the Stats page, it says INT 6 is required for Gun Nut, but the box on this page shows a 9 required.